Bill Aldridge is known for his urban landscapes of London, capturing the life and vibrancy of the City with his lively style. He works in a range of materials including ink, watercolour, oil and pastel (chalk). His work is owned and enjoyed by clients in the UK, USA, Australia and Japan, and he has undertaken many commissions. The works shown in the website gallery were completed over the last 10 years. Bill talking about his ink and wash drawing "Henry Cole's V&A" recently exhibited at Camden Open Open 2017. After a career in the corporate world, Bill trained at City Lit, Princes (now Royal) Drawing School, and the Yale Summer School of Art in Connecticut. He has exhibited at the Mall Galleries, St Johns Smith Square, Bankside Gallery, Royal Drawing School, Burgh House (Hampstead), St Martin in the Fields, Barbican Library, Chelsea Town Hall and the Yale Summer School in USA. Bill also volunteers as a guide at Kenwood House and Fenton House in North London. 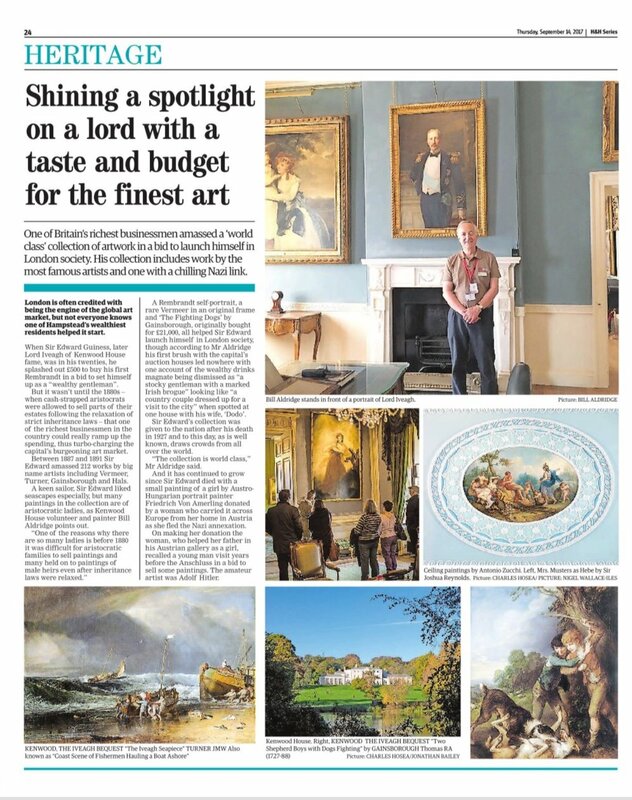 Here is a recent article (printed in the 14 September 2017 edition of the Hampstead & Highgate Express) based on Bill's 'Spotlight Talk' about the world class collection of paintings at Kenwood put together by Lord Iveagh.